If you are a serious bodybuilder there is nothing more important than squeezing every ounce of benefit of each and every thing that you do in your pursuit of the ultimate human physique. To do this one must make the most out of each and every workout session starting with the choice of the very best training regimen. One must also go as far as possible to ensure that each and every recovery period provides the utmost benefits and that each and every ounce of nutrition produces all the necessary fuel needed to achieve your goals. Yet, another aspect that must be maximized is the benefits produced from the use of any bodybuilding supplements. Considering that in the distant past bodybuilding supplements were either non-existent or, at best, primitive in their formulations and performance it is critical to today's super athletes that they have the very best that the industry has to offer in order to compete at the highest levels and achieve the best possible results. Because these supplements have become such an integral part of the overall pursuit the market for these aids has brought an undesirable aspect to finding and using them - it's the issue of more and more companies with the ability to produce products and bring them to market. 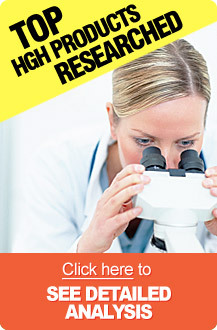 The result is that there are now literally hundreds of these types of product available all around the globe and, even though many of them are being formulated with most of the same ingredients of the top performers, the quality of a large number of them is suspect even if their claims say otherwise. Given that this is the case, we, as part of our continuing efforts to help our many valued readers find the products that will most likely work best for them, have decided to take a long hard look at one of the most talked about bodybuilding supplements available on the market today - it's called Natural Sterol Complex. Using an all-natural anabolic formula, Natural Sterol Complex is produced and distributed by a company known as Universal Nutrition. This entity which has a long history of producing products specifically designed for bodybuilders for over forty years. This new product formulation is claimed by the company to be a safe, herbal based alternative relying on an ingredient list which is loaded with natural plant sterols, essential minerals, key fatty acids, core amino acids and crucial electrolytes as opposed to many unsafe and often illegal steroids and prohormones. 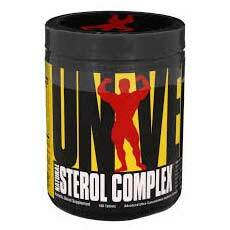 The producers of Natural Sterol Complex claim that, because of a highly concentrated formulation composed of the previously discussed all-natural ingredients is capable of providing a high degree of anabolic support which promotes a greater level of production of lean muscle mass and even shorter and far more efficient recovery periods, to some degree, by binding to a variety of estrogen receptors and diminishing the conversion of estrogen. Alfalfa: perennial flowering plant, Milk, Spirulina: blue-green algae, Thistle Root, Dandelion Root, Ginger Root, Licorice Root, Garlic, Wheatgrass, Saw Palmetto Root, Celery Seed: spice, Cayenne: spice, Chlorella: green algae, Alpha-Linolenic Acid: n-3 fatty acid, Oleic Acid: fatty acid, Palmitic Acid: fatty acid, Stearic Acid: saturated fatty acid, Phosphatidylethanolamine: phospholipid found in biological membranes, Phosphatidylcholine: phospholipid that includes choline, Phosphatidylinositol: family of lipids (naturally occurring molecules like fats and sterols), Green Tea Lea, Ginkgo Biloba Leaf, Citrus Bioflavonoids: pigments from citrus plants that have antioxidant properties, Grape seed Extract, Lycopene and red pigment found in tomatoes. One should consider that the Natural Sterol Complex formula that was first developed during the 1990's has been more recently updated to include ingredients with much higher levels of potency and efficacy. Also, the fatty acids and phospholipids included in the new formulation have been derived from soy lecithin and flaxseed powder. Most serious athletes know that the ingredients used in a product are an important indicator as to how safe and effective the product might be but far fewer of them look at the details associated with the way in which those ingredients are formulated. To illustrate this point one could say that a product with even the best available ingredients could be rendered ineffective if the formula calls for insufficient quantities of the element. There could also be issues involving poor interactions between ingredients if the producer fails to do the proper research or testing. With regard to research, studies or clinical trials there are far too many products on the market which have not been subjected to this type of critical review. The result of which is a market filled with supplements with many claims but not the data to back up those claims. In a standard search of the internet we were not able to find any such data that could be verified or corroborated in any meaningful way. Users of bodybuilding products know that testimonials and user reviews posted to an official product website or other marketing platform are inherently biased by the very fact that they are controlled by the producer or distributor of the product. Knowing this we tend to seek out sources of more independent user reviews which do not have a for profit link to the product, itself. By use of a standard style of internet search for clearly unbiased and independent user reviews we came across a wide array of reviews. Examining the rating of these we determined that the majority of users of Natural Sterol Complex had a definitely negative view of their experience with the product. The most common comments that we found among them was that they simply did not believe that they received any significant benefit even after extended use. A one month supply of this product is available through the product's official website for $27.95. It should also be noted that it can be found for less on other online retail outlets. In the world of bodybuilding supplements it is a given that these products are designed to have a distinct and beneficial effect on an athlete's body. The question is whether or not those benefits can be documented. With that in mind we always advise readers to consult with a physician or other qualified medical professional before beginning use of this product or any similar product. To know whether this product is a top rated option for serious athletes seeking to get the most out of each and every aspect of their training regimen it seems clear that there are only three key considerations that need to be examined. The first is the set of ingredients which are comparable in many ways to most of the industry's top brands. The second is the way in which those elements have been formulated. And, in this regard the lack of data that would bolster the claims being made for the product are either not available for review or have not been done in the first place. The third and final consideration is what independent user reviews are saying. In this case it is clear that the majority of those that we could find had a definitively negative tone. Putting all of these considerations in context it seems clear that Natural Sterol Complex is, at least in its current form, is not among the best possible options for serious bodybuilders looking for every advantage that they can find. For more information on the highest ranked, top quality bodybuilding supplements available on the market today, click here.